The United States of America (USA) and the United Kingdom (UK) shares more than just a common language. Their history and culture are also closely intertwined. Apart from the fact that the USA was once a British colony, both also operate as confederates of states and territories. A large number of Americans also trace their roots from the present-day territories of the United Kingdom: England, Scotland, Wales and Northern Ireland. The bond of these two countries was further cemented with two major world wars. They have been close military allies since World War II and had been partners in the North Atlantic Treaty Organization (NATO). Their deep-rooted ties which can be traced back hundreds of years ago also paved the way for a strong bilateral and trade relations between the two countries even up to the present day. The UK even referred to the USA as its most important bilateral partner. Besides having aligned political affairs, the two countries also share mutual cooperation in trade and commerce, finance, technology, academics and arts. They are also considered two of the largest melting pots of culture and globalization around the world. Immigration rates between the two countries are high too. Many British nationals are either working or are doing business in the US. Americans, on the other hand, loves to tour around the UK. Places like the Big Ben, Covent Garden, Buckingham Palace are in most American’s bucketlist. Universities in England are also top destinations for US Citizens pursuing a degree abroad. Whether you’re a tourist, an exchange student, doing business or working in the UK, we can help you make the cheapest international call to the US. 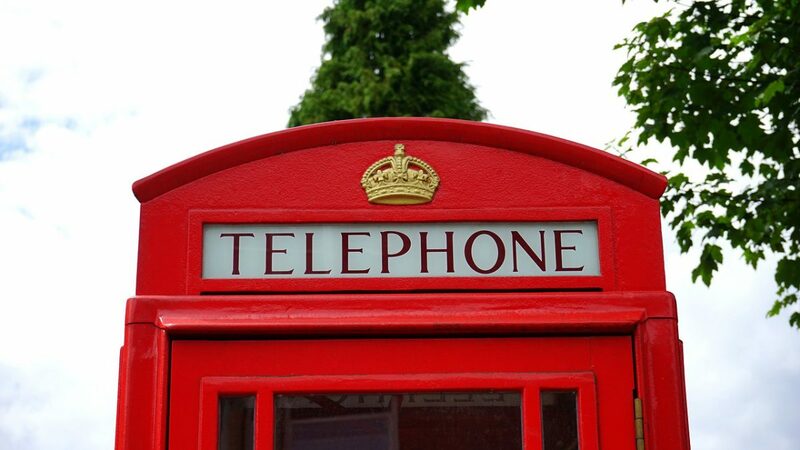 MyLine lets you call mobile and landline numbers in the US from the UK for as cheap as $0.01 or about £0.0076 per minute. What’s more, we offer international calling plans starting at $2. No maintenance fee, connection fees, no contract. This is the cheapest pay-as-you-go calling service you’ll ever find. Our service beats free services like WhatsApp and Facebook in that the person you’re calling doesn’t need an account with that service as well and you don’t need to have an internet connection. Plus if you use our app, you won’t have to worry about not being familiar with US dialing codes. Just dial the number you want to call like you would a local one. You can also sync it with your contacts list so you can just call from there. No internet connection? No problem. You can use MyLine on any device even without internet. See our international calling rates here. Or learn more about how to use the MyLine app here.